I’m usually on the ball with having great picture books to read during Advent, but this is the first year I’ve intentionally sought out Lent and Easter reads for the kids. So head on over to your local library and check ’em out! 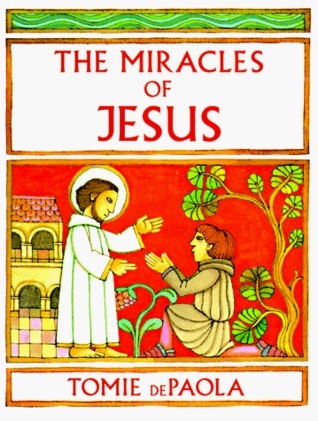 Lent is a great time to read passages about the life of Jesus. We usually read a bit of the New Testament section of this gorgeous book each morning of Lent. This is a great one to read on Palm Sunday. I think this one is just beautiful. It’s about the trees who became the manger, the disciples’ boat, and the Cross. I love Tasha Tudor and this book is just darling. Pretty illustrations and a sweet little story. 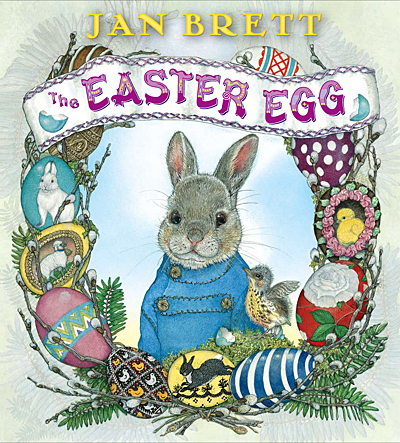 We are big fans of Jan Brett over here and these illustrations are to die for. Also, I absolutely love that the Easter Bunny’s little carriage is drawn by adorable chickens. 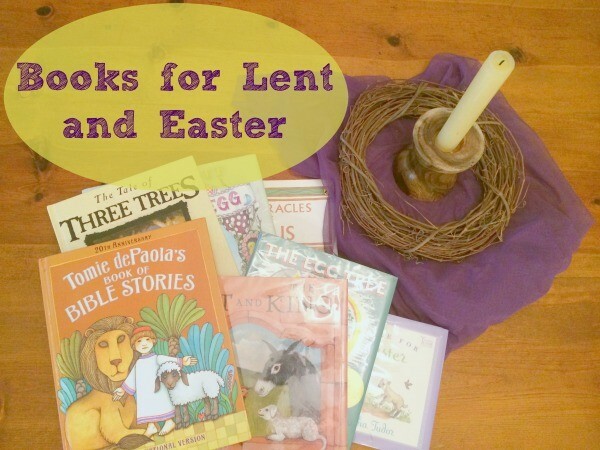 Does you have any favorites to read during Lent and Eastertide? Lent Is Coming! Here's a few of my favorite resources. 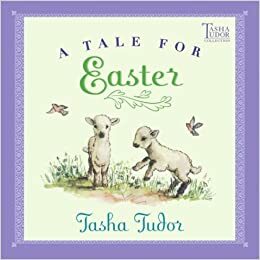 No joke, I was thinking about Easter baskets yesterday and decided that I’m only going to give my kids a book and a little bit a of candy and thought, “I don’t know of many good Easter books… I bet Haley has a list I need to check out.” And here it is! Thank you! You always have such excellent children’s book recs! Thank you! And thanks for the Jan Brett title! 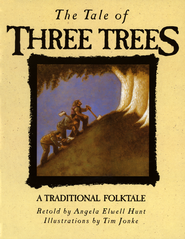 We LOVE her books but have never come across this one. I just put it on hold at the library. 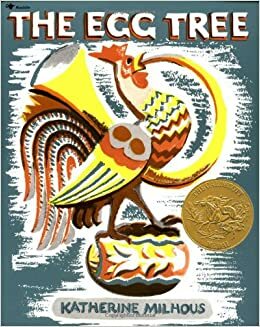 I have to recommend Rechenka’s Eggs by Patricia Polacco. It is such a good book for kids at Easter time. We just discovered “P. Zonka Lays an Egg” by Julie Paschkis. Gorgeous chicken illustrations and a lovely story about taking in the beauty of the world. It’s similar to Rechenka’s Eggs if you’re familiar with that book. We really like Petook which is not written by Tomie de Paola but he is the illustrator. We also really like Rechenka’s Eggs, The Country Bunny as well as some of the ones you listed. We did find one this year at the library that surprised me but the illustrations were beautiful.. It’s called The Very First Easter by Paul L. Maier and it is a sort of dialogue between a father and son as they read through the story of the crucifixion. It brought up some good questions that my kids hadn’t asked yet. Question on the first one listed, the Bible Stories book: is there a page that goes over John 6? I ask because the cover says it uses the NIV and I had another Protestant kids’ Bible stories book that addressed the last supper & John 6 in a very Protestant way (which was frustrating for me as I am working so hard to teach my 4 year old about the Eucharist). I threw away that book because I didn’t want it confusing him about the truth. I also took issue with the way baptism was treated in that book. 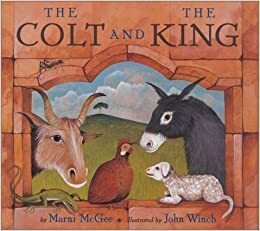 Are there any picture-heavy/copy-light Bible stories books that are faithful to Catholic teaching that would be engaging for a 4 year old? Thanks much! Haley, you always have such wonderful Catholic reads for your children! I know you guys do the library a lot but where do you buy them when you decide to build up your own home library? 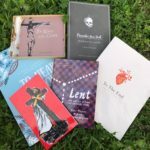 You mention giving the kiddos books for special liturgical holidays and such and so I was wondering if you normally just buy them on amazon or if you buy from somewhere else? Petook is the ultimate Easter book for our family, though hard to find. We had to special order it from the UK.